 Twin Oaks is proud to be an approved Girl Scout vendor and has had many Daisy, Brownie, and Junior troops visit the barn and earn their Horseback Riding Badge! We can also host birthday parties for your horse-crazy child. For Daisies and Brownies or children 5-10, we recommend the Saturday Young Rider Camps which are held on select Saturdays during the school year. 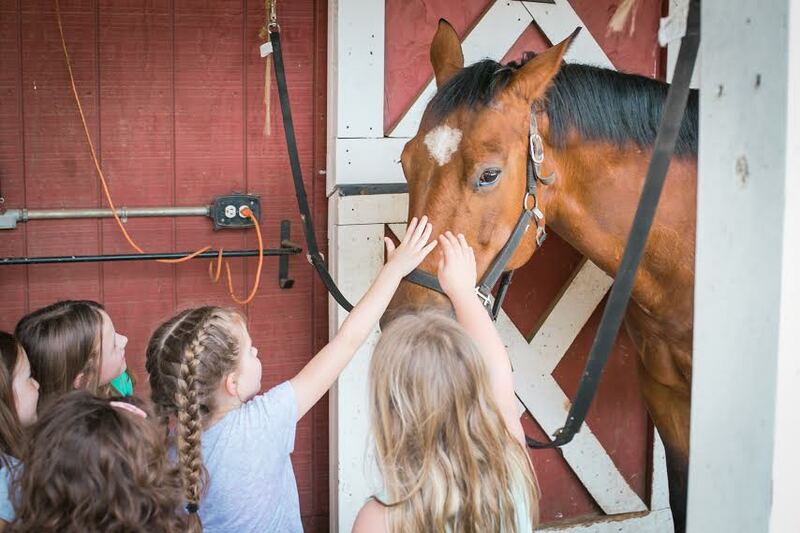 These camps are designed for girls with little or no exposure to horses and are a great introduction to horseback riding and equine care! See the Horse Camps page for more information. 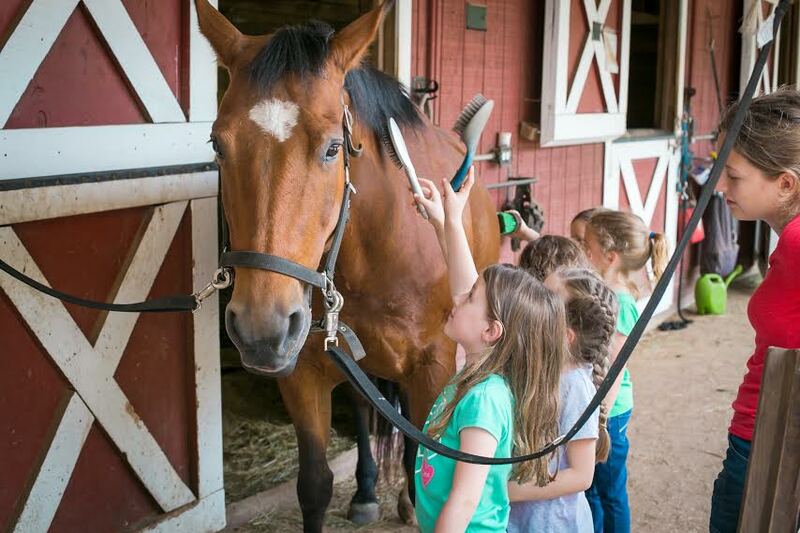 For Juniors or children 9 and up, the Young Rider Camps are an option, as well as scheduling a Girl Scout or Birthday Clinic, which can be customized depending on your group’s needs. This is recommended if your girls are 9 or older and would do well with more independence and instruction geared toward older girls. Cadettes, Seniors, and Ambassadors are also welcome to schedule a customized group package as well. Please contact me to discuss what is best for your troop! Young Rider Camps are $45 per scout and the Girl Scout or Birthday Clinics are $55 per child. Full payment reserves your event. There is no minimum number of participants for the Young Rider Camps, and the Girl Scout Clinic have a minimum of 6 girls and maximum of 12 girls. If your group would like to participate in a Young Rider Camp, you may register each child individually online through the Horse Camps page. Most parents or troop leaders mail a check for the total amount to avoid extra credit card processing fees. If you are interested in scheduling a Girl Scout Clinic or Birthday Party, please contact me to plan your event! We can discuss options and customization for your group.